For more Disney toys, go to the Disney DollsPage. By Jennifer Liberts Weinberg Dance with Cinderella at the ball, laugh with Snow White and the Seven Dwarfs, and sing with Sleeping Beauty in one 64-page Read-Aloud Storybook. Each of the three stories retells the classic tale of a Disney Princess who triumphs over evil and lives happily ever after. The Disney Read-Aloud Storybooks are excellent books for preschoolers and young readers. This edition includes abbreviated versions of the stories of Cinderella, Snow White, and Sleeping Beauty. Pictures are large and bright with a varied layout to keep children interested. Highly recommended series. Disney Princess Read-Aloud Storybook : Volume 2 Dance with Belle and the Beast, swim with Ariel and Flounder, and sail away on a magic carpet with Aladdin and Jasmine! Young readers will enjoy the stories of three Disney Princesses -- all in one fantastic book! Disney's Princess Treasury This oversized volume collects six of Disney's most popular stories: Aladdin, Cinderella, The Little Mermaid, Beauty and the Beast, Sleeping Beauty, and Snow White and the Seven Dwarfs. If you like your fairy tales uncomplicated, this is the book to have. It is a great, sturdy hardcover with beautiful illustrations. There are only six stories, but they are a bit more expanded than they are in "Disney Princess Collection" and they are also broken up into chapters, which is handy for reading out loud. Enjoy! Disney Princess: Enchanted Library Boxed Set Enter the Enchanted Library and join the Disney Princesses on six exciting adventures. Each charming mini-book features a different princess -- Ariel, Snow White, Cinderella, Jasmine, Sleeping Beauty, and Belle -- and has an adorable pop-up at the end of the story. There's also a secret treasure drawer containing a pretty Princess poster and fun stickers to decorate it with. Spanish Edition Also Available The magic of Disney Princesses comes to life in this delightful collection of 19 easy-to-read stories, in a beautifully illustrated volume with gilded pages. (Book Plus CD) Share the magic of Disney while making storytelling more fun than ever. The Disney Princess Read-Along Collection Box contains three beautifully illustrated 24-page books and a Read-Along CD with word-for-word narration of each story. Enjoy the classic Disney adventures of Cinderella, Snow White and Princess Aurora. Perfect for quiet times, car and plane trips. The Disney Read-Along Collection Series is an ideal gift for family, friends, birthday parties and holidays. Character voices right from the movies, coupled with vivid sound effects, will keep children coming back to Read-Along time after time. The word-for-word narration encourages independent reading and helps develop vocabulary. Three beautifully illustrated 24 page Read-Along story books: Disney's Cinderella, Disney's Snow White and Disney's Sleeping Beauty. (Book Plus CD) Share the magic of Disney while making storytelling more fun than ever. The Disney Princess Holiday Read-Along Collection Box contains three beautifully illustrated 24-page books and a Read-Along CD with word-for-word narration of each story that encourages independent reading and helps develop vocabulary. Enjoy the Disney holiday adventures of Cinderella, Belle and Ariel. Perfect for quiet times, car and plane trips. The Disney Read-Along Collection Series is an ideal gift for family, friends, birthday parties and holidays. Character voices right from the movies, coupled with vivid sound effects, will keep children coming back to "Read-Along" time after time. A handy storage box to keep everything in one place. 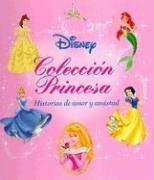 Spanish Edition Also Available The latest edition to our storybook collection series is a follow-up to the best-selling Disney's Princess Collection: Love & Friendship Stories. Join everyone's favorite Disney Princesses, including Belle, Ariel, Snow White, and Cinderella, as they embark on royal adventures and live happily ever after. This beautifully illustrated storybook collection will keep little princesses entertained for hours. (Step Into Reading, Level 1) What is a princess? Is she someone who is smart and brave, kind and caring—or is she someone much, much more? Cinderella, Ariel, Belle, and all the Disney Princesses answer that question in this Step 1 book that is the first in the Step into Readling line to feature multiple Disney Princesses in one book! (Boxed Set) The fairest box set of them all! The enchanting Disney Princesses are together at last in this beautiful Little Golden Books boxed set. From Cinderella, Sleeping Beauty, and Snow White to Ariel, Jasmine, and Belle, this enchanting boxed set brings the most-beloved Disney Princesses together for fans and collectors alike. Disney Princess: Happily Ever After Musical Magical Treasury Share some Disney magic with your favorite little princess! This lovely edition is specially designed for little readers, with durable, easy-to-turn board pages, full-color illustrations, and a padded cover. The anthology features the classic Disney tales of Snow White, Cinderella, Sleeping Beauty, The Little Mermaid, Beauty and the Beast, and Aladdin. As you read, press the button to hear one of Disney’s most celebrated songs: "Once Upon a Dream". A perfect collection for little princesses ages 18 months and up. Disney Princess: Enchanted Library Box Set Enter the Enchanted Library and join the Disney Princesses on six exciting adventures. Each charming mini-book features a different princess -- Ariel, Snow White, Cinderella, Jasmine, Sleeping Beauty, and Belle -- and has an adorable pop-up at the end of the story. There's also a secret treasure drawer containing a pretty Princess poster and fun stickers to decorate it with. Disney Princess: Pretty Please : A Royally Fun Book of Manners Who says learning about manners has to be boring? Join six of your favorite Disney Princesses - Snow White, Jasmine, Ariel, Belle, Sleeping Beauty, and Cinderella - for delightful stories and helpful advice on manners, including such gems as: "Meeting New People. Be on your best behavior when you visit a king - even if you're the daughter of a Sultan. "Being Polite. Don't interrupt-except for something important, like a fire-breathing dragon. " Apologizing. Have you enraged the King of the Seven Seas… again? Here's how to apologize. " Table Manners. If there is one thing you never forget, try not to sneeze on your fellow Dwarfs, especially in front of Snow White! This beautifully illustrated book includes 12 sheets of stationery with matching envelopes, plus a sheet of full-color stickers, so little princesses can write their own thank-you notes. Learning manners has never been so much fun! (A Sticker-Activity Storybook) Little girls love to play dress-up-and they love the Disney Princesses! Now they can help Ariel, Belle, Cinderella, Sleeping Beauty, Jasmine, and Snow White decide on the perfect outfit for any occasion. This charming interactive book includes more than 100 reusable vinyl stickers. Girls will have a ball creating royally beautiful outfits for their favorite princesses, complete with sparkling tiaras, billowing ball gowns, hats, gloves, jewelry-down to their dainty little slippers. By Niall Harding Take a walk with Snow White through her garden, visit Belle in her library, or wander through a beautiful castle with Cinderella! This amazing activity book features two full sheets of reusable stickers for young readers to help all the Disney Princesses decorate their favorite places—again and again! Disney Princess: Pretty Puzzles And Sweet Stories This delightful book features seven 24-piece puzzles of your favorite Disney Princesses in their most memorable moments. Each puzzle (color-coded on the back for easy sorting) is accompanied by a story from The Little Mermaid, Cinderella, Aladdin, Snow White and the Seven Dwarfs, Sleeping Beauty, or Beauty and the Beast. The final puzzle features all six princesses. Plus, there are three pages of original Princess poems. Disney Princess : May I Have This Dance? Spanish Edition Also Available Disney’s dreamy princesses come to life in this beautiful book that includes a magnetic magic wand and detailed die-cut shapes of Sleeping Beauty and Prince Phillip, Belle and the Beast, and Cinderella and Prince Charming. The bright backdrops of grand palace ballrooms and enchanted forests captivate young readers, while the wand helps them improve their hand-eye coordination as the figures swirl and slide to its touch. Disney's Princess Theater With a beautifully illustrated 3-D pop-out stage, standup characters, and scripts from best-loved film scenes, this theater allows every girl to become a real Disney princess. Spanish Edition Also Available Princess stories are popular all over the world. In this Spanish version of the favorite Disney Princesses, future royalty or simply romantic dreamers relive the sagas of five classic tales of triumph over adversity. The illustrated book and corresponding projector images feature Cinderella, Sleeping Beauty, Beauty and the Beast, The Little Mermaid, and Snow White. By Liza Baker This oversized collection features all you favorite Disney princesses! Each story can easily be read in five minutes -- perfect for busy families to share together. By Liza Baker This beautiful oversized storybook contains five brand-new stories featuring favorite Disney princesses--Ariel, Jasmine, Belle, Snow White, and Sleeping Beauty. By Lara Bergen The latest installment in our 5-Minute Stories series features tales of friendships both new and tried-and-true, from The Lion King, Mulan, Dumbo, The Aristocats, and The Little Mermaid. With gorgeous, vibrant original art picked up from the Disney Libri book, Un Mondo di Amicizia (or Disney World of Friendship), this oversized volume is sure to be a hit with kids and parents alike. Each story, clocking in at about five minutes when read aloud, is a perfect length for bedtime-or any time! Disney Princess Essential Guide Disney Princess Essential Guide takes a unique look at Snow White, Cinderella, Sleeping Beauty, Belle, Jasmine, and Ariel: six of Disney's all-time favorite princesses. With exclusively commissioned cross-sections, detailed maps drawn by the best Disney artists, and fascinating background information on each character, this is sure to become a classic. Disney Princess Ultimate Sticker Book Enter the magical world of Disney princesses. The Disney Princess Ultimate Sticker Book will thrill young fans of animated films. Stick Snow White, Sleeping Beauty, and other beloved princesses onto full-color backgrounds to create your own stories and scenes. [MAGAZINE SUBSCRIPTION] Fun to Learn Disney's Princess is an early-learning magazine which brings together Disney favorites such as Ariel from The Little Mermaid, Belle from Beauty & The Beast, Aurora from Sleeping Beauty, Snow White, Cinderella, Mulan, Jasmine from Aladdin, and Pochahantas. Each issue is full of magical stories, a collectible poster, a Princess project, and a pull-out workbook full of fun activities. It's published bi-monthly and it's great for any princess, aged 4 and up. (Board Book) In light, rhyming text, the Disney Princesses–Cinderella, Belle, Sleeping Beauty, Jasmine, and Ariel–dance round and round the ballroom floor with their handsome princes. Young girls will love the braided silver handle that lets them take this purse-shaped book with them wherever they go! (Board Book) Swim under the sea with Ariel, walk in the woods with Snow White, and dance the night away with Cinderella! This interactive board book features a full sheet of reusable stickers, so Disney Princess fans can read the story and enjoy endless hours of imaginative play. This board book features detailed animations from the background of classic Disney movies. Children will be enchanted by reusable vinyl stickers of their favorite Disney Princesses to complete the movie scene. This clever, interactive book is sure to be a hit with young girls! By Lara Bergen With a little help from Cinderella, Snow White, Sleeping Beauty, and the rest of the Disney princesses, kids can create a lively memory book all about themselves. They'll have hours of fun answering simple questions and filling pages with their favorite pictures, postcards, thoughts, and memories. Plus, there's a full sheet of stickers to use throughout the book! By Rochelle Cane Every little girl knows that Princesses know jewels better than anyone. After all, no princess is a Princess without her sparkling tiara, her shining rings, and her shimmering bracelets. So join the Disney Princesses for a six-spread romp through all things glittering and precious. Each spread of this sturdy board book features a different Disney Princess, and has an embedded jewel element or a shining piece of foil representing the Princess's most beloved piece of jewelry. (Beauty Kit and Book) Discover all the Disney Princesses' beauty secrets with this amazing boxed set. The 48-page paperback book, filled with colorful art and photos, includes easy-to-follow, step-by-step instructions for recreating many lovely princess hair styles, as well as beauty tips and advice from Snow White, Jasmine, Ariel, Cinderella, Belle, and Sleeping Beauty. Guaranteed to provide hours of fun for every little princess in the family. By Laura Driscoll Ever heard the saying "good things come in threes" or "third time's the charm"? Well, three sure seems to be a lucky number for Cinderella, Jasmine, and Ariel! What three things changed Cinderella's life forever and brought her together with her Prince Charming? What was in the air the third time Jasmine and Aladdin met? What happened on day three of Ariel's attempt to win Prince Eric's heart? Find out in Three Magical Moments-where little princesses can relive three monumental moments in the love stories of three Disney princesses, and gaze through the special pop-up viewer to see the scenes in amazing 3-D! (Boxed Set) Four of the bestselling Disney Princesses star in four great board books packaged in a unique carry-along case. Young readers will love finding out how Ariel, Cinderella, Jasmine, and Belle each found their handsome prince in these delightful retellings. 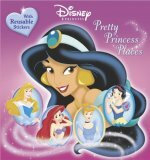 (Boxed Set) Disney's classic princesses return with a charming new slipcase and beautiful art with the popular stories of Cinderella, "Sleeping Beauty," and "Snow White". By Kiki Thorpe From Snow White to Pocahontas, Cinderella to Ariel, Disney films have featured many captivating princesses and strong female characters -- each with her own style and personality. This beautiful gift book includes some of the best and most memorable quotations from Disney's princesses and heroines, as well as the occasional wise word from their princes or their trusty sidekicks. Filled with inspirational and motivational quotes, as well as a healthy does of humorous ones, this is a collection that will both entertain and uplift. By Atelier Philippe Harchy Ariel kept her grotto a secret for a long time, but eventually her father learned about her special place. But Ariel has another secret–she was seen by a human on the surface long ago! Ariel reveals the exciting story of her best-kept secret in this padded, glittered hardcover. By Atelier Philippe Harchy Belle has a secret that nobody knows. When she became a prisoner in the Beast’s castle, she kept a private journal in which she wrote all her thoughts and feelings about the Beast and her enchanted surroundings. Find out all the details of Belle’s secret journal in this padded, glittered hardcover. By Atelier Philippe Harchy Cinderella is very busy now that she is a princess. But sometimes she likes to get away from all of her duties–that’s when she sneaks off to her secret hiding place! Only Cinderella’s little friends know about her special spot and now little princess fans will, too. This sweet, original story features all-new artwork in a padded, glittered hardcover. By Atelier Philippe Harchy Snow White has been keeping a secret from the Seven Dwarfs since she has married the prince. She has been visiting their cottage and taking care of things while they’re at work. The Dwarfs don’t believe that the newly married Snow White could possibly be the one caring for their home. Snow White makes her friends happy in this padded, glittered hardcover–all while keeping it a great big secret! By Melissa Lagonegro Snow White, Cinderella, Sleeping Beauty, Belle, Jasmine, and Ariel aren’t just pretty and sweet—they’re also polite! In this original book with all-new, full-color art, the Disney Princesses share their rules on good manners so all little girls can learn to be as polite as a princess. Parents who want their children to practice good manners eagerly will thank Disney for coming out with this charming storybook. A short sentence combined with bright, detailed illustrations explain how Snow White, Cinderella, Sleeping Beauty, Belle, Jasmine, and Ariel are polite. An excellent use of children's favorite role models! By Andrea Posner-Sanchez Young princesses will love reading three original stories about Cinderella, Snow White, and Belle as they scratch and sniff different scents. This hardcover storybook features the delightful scents of roses, cinnamon buns, lemon tea, vanilla frosting, perfumed invitations, and apple pie. This book is recommended for Disney Princess fans who want stories that go beyond the movies. In this collection, Cinderella plans her wedding, Snow White makes a special dinner for her prince (and 7 other friends), and Belle prepares for a banquet with the beast. In each story, a scratch and sniff invites children to further engage in the story. Scents are strong enough to be easy to smell, but not too strong to be overbearing for adults. The Fairest of the Fall Join two beloved Disney Princesses as they delight in the joy and beauty of the fall season. Dance with Ariel at her very own fall festival and help Sleeping Beauty enjoy the changing leaves in two original stories. Sweethearts in the Snow Celebrate the snowy season with the Disney Princesses! Bake a sweet winter treat with Belle and build a big frosty snowman with Jasmine as these delightful characters come to life in two original stories. By Irene Trimble The Disney Princesses pop to life in this heart-shaped deluxe pop-up book featuring flaps to lift, removable invitations to the ball, and much more! 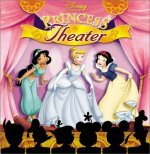 Disney Princess: Royal and Loyal Jasmine, Cinderella, and Ariel are royal girls with some very loyal friends and they're all showcased on the eight full-color tabs of this book. Back cover features a write-on/wipe-off story for girls to complete. (Boxed Set) Experience the magic of Disney with this charming carry-along music box. Included are five hardcover princess storybooks with padded covers, each featuring a timeless tale of love and friendship and starring Cinderella, Jasmine, Snow White, Ariel, and Belle. Plus, there's a beautiful Disney princess necklace inside! A prince would love to meet! Original poems about Snow White, Ariel, Belle, Cinderella, and other Disney Princesses are featured in this delightful padded board book with foil-edged pages. By Rita Balducci Every Disney princess's life is filled with magic, romance, and adventure. That's what little girls find irresistible about them. The Disney Princess Carry Along Treasury focuses on the most enduring moments in the stories of six princesses -- Snow White, Cinderella, Belle, Ariel, Sleeping Beauty, and Jasmine. Illustrated tabs on every page help young readers quickly find their favorite stories. The sturdy handle and clasp let girls take this book wherever they go. By Laura Torres Castles, royal balls, handsome princes...nothing captures a girl's imagination like Disney princesses. This book brings those dreams a little closer with some hands-on creativity. Whether you are dreaming up a ball gown, decorating a crown, or wishing upon a glittery star, you'll find something to inspire your imagination. Enter the enchanted worlds of Cinderella, Aurora, Snow White, Ariel, Jasmine, and Belle with these crafts fit for a princess like you! Step-by-step instructions and full-color photos of each completed craft make these projects easy-to-do. (Board Book) Every Disney princess's life is filled with magic, romance, and adventure. That's what little girls find irresistible about them. The Disney Princess Carry Along Treasury focuses on the most enduring moments in the stories of six princesses -- Snow White, Cinderella, Belle, Ariel, Sleeping Beauty, and Jasmine. Illustrated tabs on every page help young readers quickly find their favorite stories. The sturdy handle and clasp let girls take this book wherever they go. (Board Book) This fun flap book shows photographs of girls doing just what the Disney Princesses do–dancing, reading, and dressing up–proving that there’s a little princess in every little girl! Disney's Dear Princess: Royally Funny Letters to and from Your Favorite Disney Princesses Royally funny letters written to and from your favorite Disney Princesses! The most popular Disney Princesses come to life in this fun, interactive book featuring mail written to and from Cinderella, Snow White, Ariel, Jasmine, and Belle! By Walter Foster Publishing With this book, artists of all ages and skill levels will discover the magic behind drawing princesses Snow White, Aurora (Sleeping Beauty), Cinderella, Ariel, Belle, and Jasmine in a variety of pretty poses. And they’ll even learn the tricks behind drawing mischievous fairy princess Tinkerbell! Details about each princess are presented side-by-side with simple step-by-step instructions and special tips from real Disney artists. This is the perfect book for everyone who believes dreams can come true! By Walter Foster Publishing Learn how to draw your favorite princesses from Disney with this royally creative kit! Complete with everything needed to bring to life seven Disney princesses, this kit will provide hours of girly and colorful fun. And you can be a princess too with this kit's make-it-yourself tiara and sparkly pixie dust! Kit includes 3 tubes glitter glue, 10 fine-line markers, 2 self-inking stamps, stick-on jewels, pixie dust, "make your own" tiara, drawing pencil, eraser, sharpener. (Board Book) Everyone likes to get hugs and kisses from their friends, especially the Disney Princesses! The colorful tabs on each page of this circular board book lead to pages featuring Cinderella, Snow White, Sleeping Beauty, Ariel, Jasmine, and Belle sharing lots and lots of love. (Board Book) Cinderella, Snow White, Ariel, Belle, and Jasmine send sparkly valentines to their princes in this adorable board book that features sparkling glitter on every page. (Board Book) Whom will the prince dance with at the ball? Who’s singing in the woods? Young readers can open and open and open the gatefold pages to reveal lots of surprises for their favorite Disney Princesses. (Board Book) Belle, Cinderella, Snow White, Ariel, and Jasmine show off their favorite rooms in fantastic fairy-tale castles. And reusable stickers allow young readers to help the Disney Princesses decorate! (Board Book) Join Ariel, Cinderella, Snow White, Sleeping Beauty, and Belle as each princess meets her prince for the first time—then watch as they begin their new lives together! This big board book features a different Disney Princess on each of its five colorful and sturdy tabs, plus there are hidden items to find in each scene. 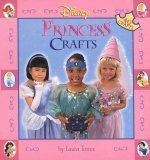 (Book and Jewelery Box) A ruby red ring, a dazzling tiara, sparkling earrings, and more let young girls dress up and play along with their favorite Disney Princesses. This boxed set comes with all the glittery accessories a princess needs in case a handsome prince comes knocking! (Book and Hairstyling Set) The Little Mermaid’s seashell hair clips, Snow White’s red ribbon, and much more let little readers style their hair just like their favorite Disney Princesses in this great book and hair accessories boxed set. By Kirsten Larsen Thirteen pull-out posters, 64 games cards and five different games provide endless fun. Disney Princess: Beauties in Bloom It’s springtime and the Disney Princesses are in full bloom! Join Snow White on a stroll through the woods and dance in the garden with Cinderella as two original stories are told in one full-color storybook! Disney Princess : Dreams Come True Eighty pages to color, packed with everyone’s favorite Disney princesses -- Cinderella, Snow White, Sleeping Beauty, and Ariel! (Volume 1) This beautifully illustrated collection presents Ariel, Jasmine, and Esmerelda each in her very own book-length stories, retold with new details that every little princess will love to read. (Volume 2) This beautifully illustrated collection presents Cinderella, Belle, and Pocahontas each in her very own book-length story, retold with new details that every little princess will love to read. By Jennifer Liberts Weinberg This delightful novelty book with pop-ups and flaps to lift on every spread features Cinderella, Ariel, Belle, Snow White, and Jasmine sharing their secrets for being successful princesses. Disney Princess: Enchanting Treasures Reusable stickers make this an awesome interactive way to enjoy the Disney Princesses. Big pages and bold art will have young girls placing the stickers again and again in fabulous scenes featuring the bestselling Disney characters Cinderella, Belle, Snow White, Ariel, and more. Princess Collection #1 Belle, Jasmine, and Cinderella star in Princess Collection #1. Each princess is featured in puzzles, activities and a full-color comic strip. Readers will love making their own "royal" crafts. Princess Collection #2 Ariel, Snow White, and Sleeping Beauty star in Princess Collection #2. Each princes is featured in puzzles, activities and a full-color comic strip. Readers will love making their own royal crafts. By Fran Posner Everyone’s favorite princesses -– Cinderella, Sleeping Beauty, and Snow White–star in wonderfully royal rhymes. By Matt Mitter In this colorful collection of sweet-and-silly Disney love poems, all the most popular characters and couples are celebrated. The short, witty poems examine very different kinds of pairings -- from the happy Dalmatian delirium of Perdy and Pongo to the slowly growing attraction between Belle and the Beast, which was definitely not love at first sight. The book is a rhyming feast of affection and caring. My Disney Princess Book: A Book for Keepsakes, Memories and Dreams This journal features the Disney princesses. Complete with sections about friends, family, hobbies, school, and, of course, hopes and dreams, it suggests lots of different ways to write about life with fill-in the blanks, and also has creative ways to incorporate keepsakes. Disney's Pop-Up Princesses Dance with Snow White and the Seven Dwarfs, glide high over Agrabah with Jasmine and Aladdin, splash in the ocean with Ariel and Flounder, and more! By Ann Braybooks Six of Disney's most popular princesses are featured in this collection of retellings of key scenes from the animated films as well as in the original poems about these adored characters. 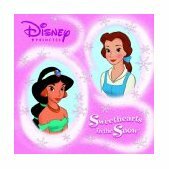 Children will revel in this unique compilation of many of their all-time favorites: Snow White, Cinderella, Sleeping Beauty, Ariel (The Little Mermaid), Belle (Beauty and the Beast), and Jasmine (Aladdin). By Mary-Kate and Ashley Olsen America's most beloved twins share their favorite Disney princess stories in this deluxe paperback edition. By Hal Leonard Corp Our songbook from Disney's album of holiday favorites includes 14 songs: Ariel's Christmas Island * Beautiful (Christmas Version) * Christmas Is Coming! * The Christmas Waltz * Christmas with My Prince * The Holly and the Ivy * I'm Giving Love for Christmas * The Night Before Christmas * Silver and Gold * and more. The instrument features a note slider, piano and flute instrument sounds, sustain and volume control, music notes clearly labeled above each key, a headphone jack and an easy-carry handle. Two "AA" batteries are included. For ages 3 and up. Funfax: Disney Princess A charming new title from Funfax which brings together a whole host of Disney's fairest fairytale characters, including classic favourites such as Snow White, Cinderella and Sleeping Beauty as well as more recent royal hits such as Jasmine from Aladdin and Ariel from The Little Mermaid. Young girls will be able to record their fairytale lives as well as read about their Princess pals with the help of this new Funfax organiser. The file is also packed with a secret diary, tips on securing an invitation to the ball, a pull-out poster, puzzles & quizzes, stickers and much more. Disney's beautiful princesses love to practice their ABCs! Aurora, Belle, Cinderella, Snow White, Ariel, Jasmine, and Mulan show young readers how to write the alphabet from A to Z, introducing them to a world of words. This combination book-and-practice pad encourages children to experiment, and the simple text and friendly approach make the learning process easy and enjoyable.